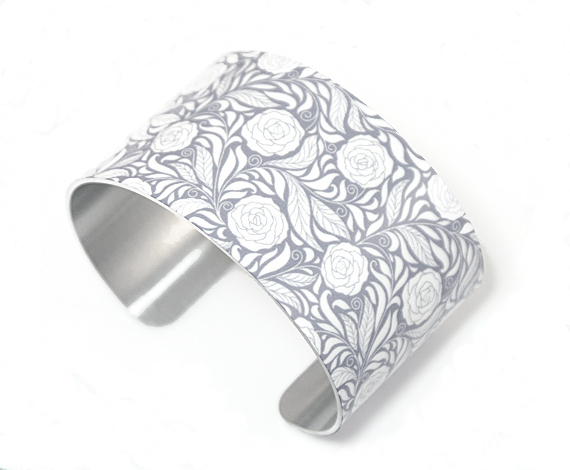 C199. 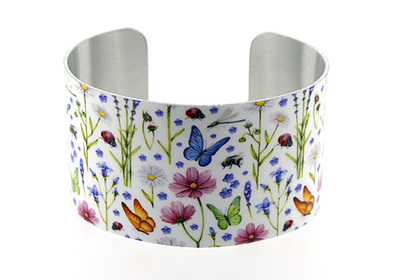 Cuff bracelet with pink flowers and butterflies. C180. 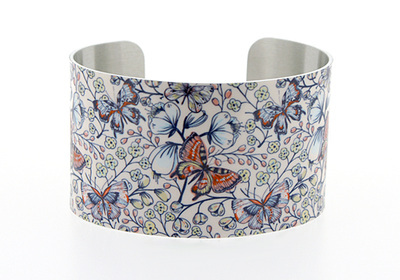 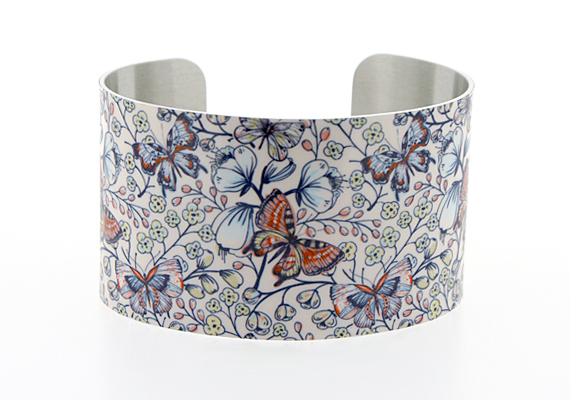 Nature cuff bracelet with butterflies, bees and ladybirds. C197. Cuff bracelet, light pink with butterflies. 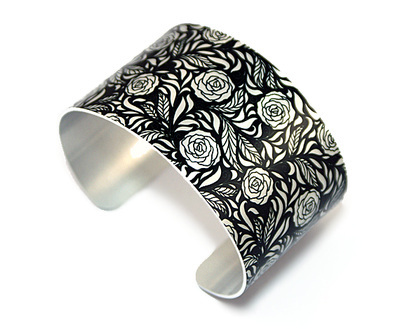 C198. Cuff bracelet, purple with butterflies. 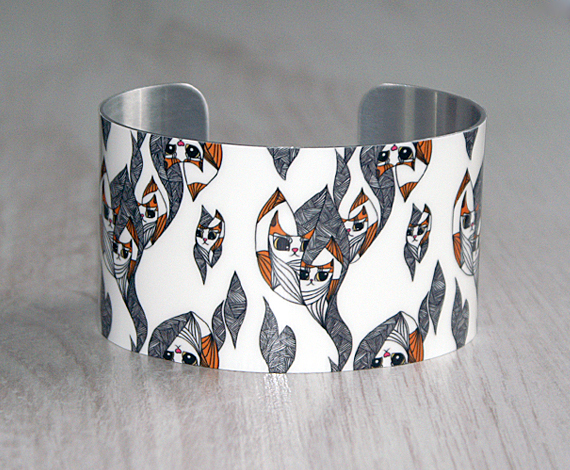 C181 - Cuff bracelet with modern cat design. 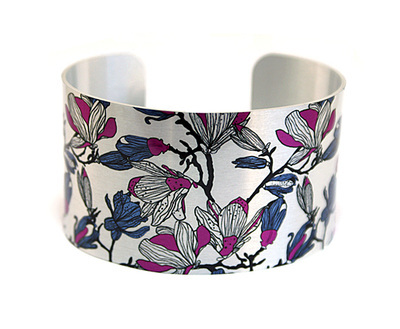 C143 - Cuff bracelet, silver background with magnolias. 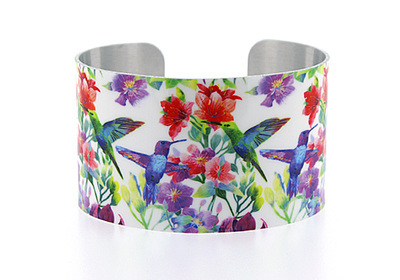 C192 cuff bracelet with humming birds and colourful flowers. 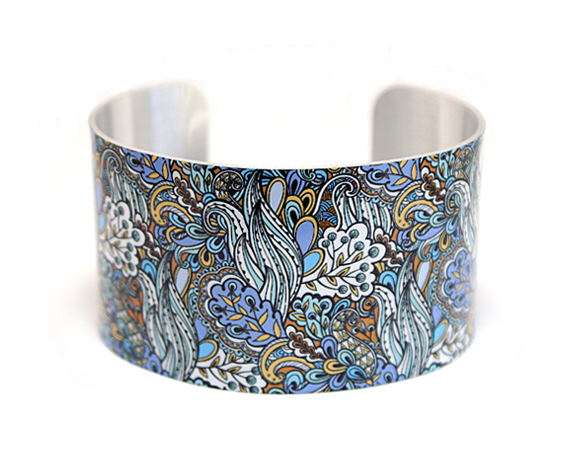 C114 - Cuff bracelet, handcrafted jewellery bangle with blue flowers. C112 - Cuff bracelet with cats. 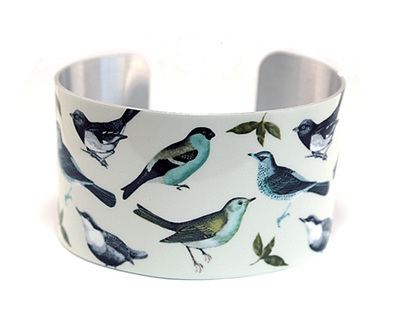 Ideal for someone who has pets or is an animal and cat lover. C116 - Cuff bracelet. 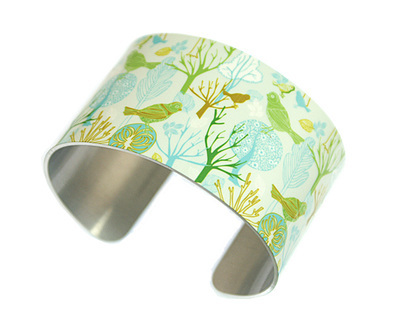 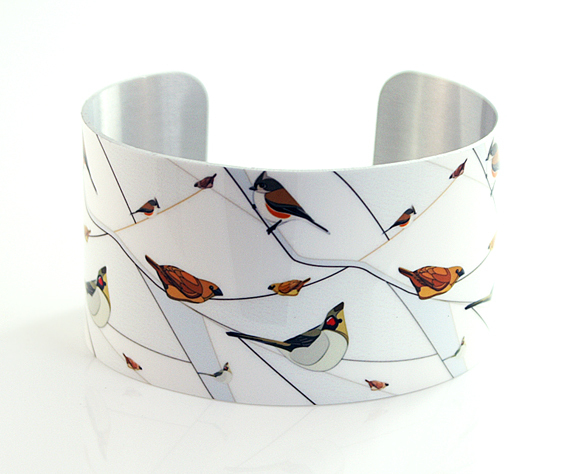 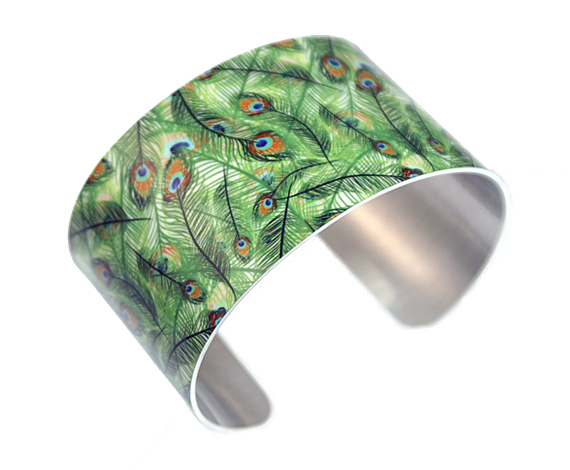 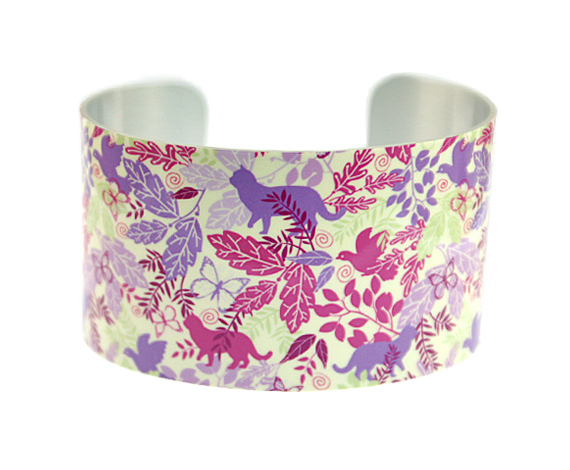 Mint coloured bangle with woodland birds. Modern women's jewellery. 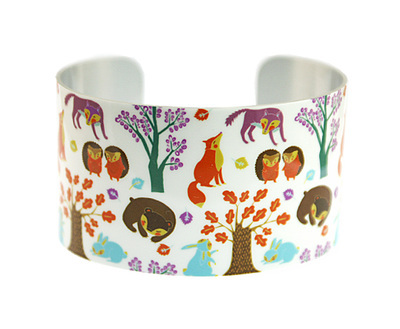 C115 - Cuff bracelet with woodland animals. Foxes, bears, rabbits, hedgehogs. 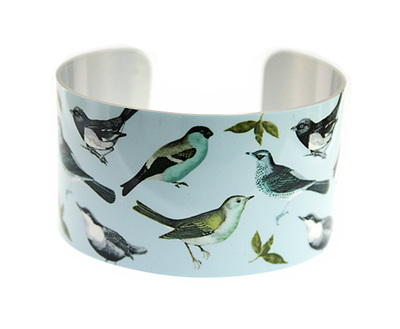 Great gift for a wildlife lover. 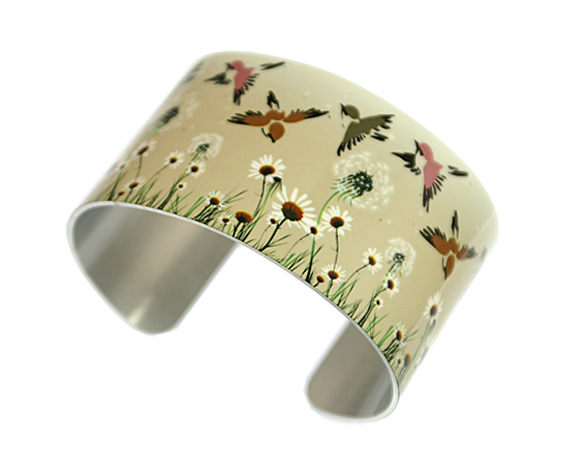 C117 - Cuff bracelet, bangle with dandelions and birds. 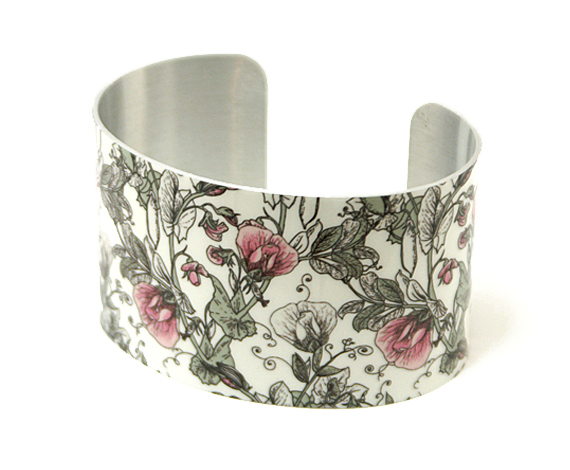 C121 - Cuff bracelet, women's vintage style bangle with sweet peas. 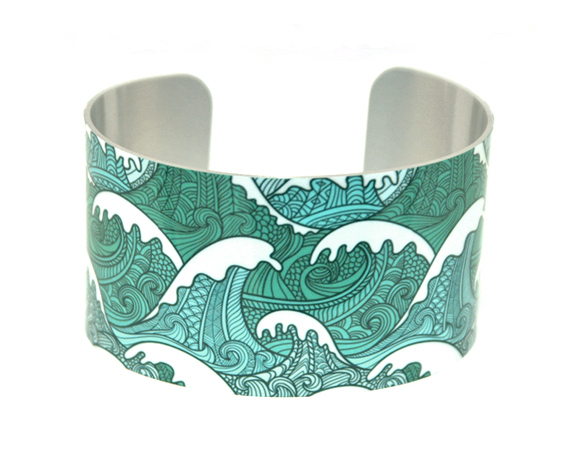 C125 - Cuff bracelet with ocean waves. 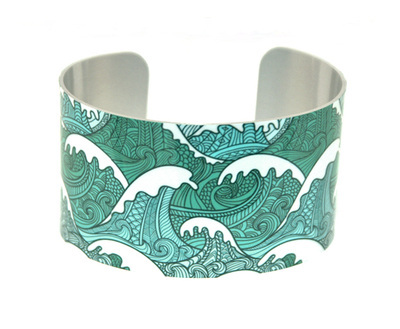 Lovely gift for someone who loves the sea, sailing or water hobbies. 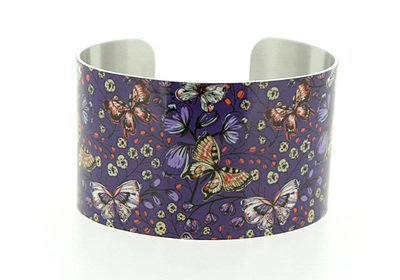 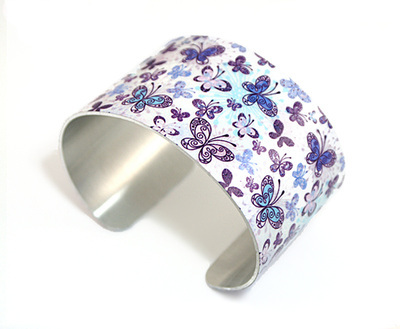 C123 - Cuff bracelet with purple butterflies. Ideal nature lovers gift. 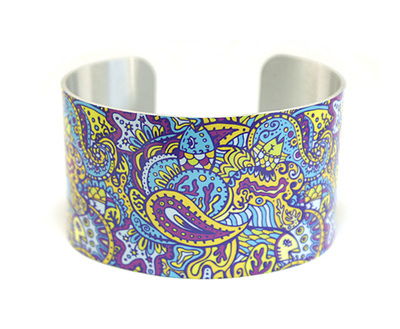 C127 - Cuff bracelet, colourful jewellery bangle with paisley pattern. 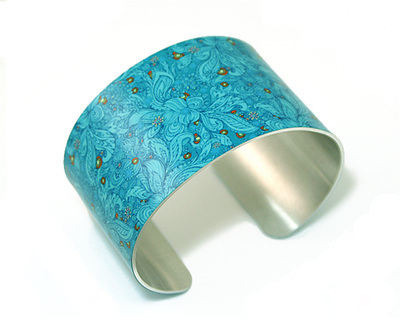 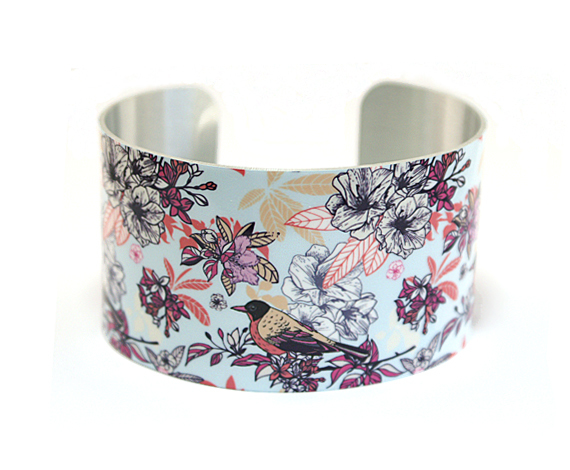 C137 - Cuff bracelet, teal floral women's jewellery bangle. C129 - cuff bracelet, black background with silver flowers. 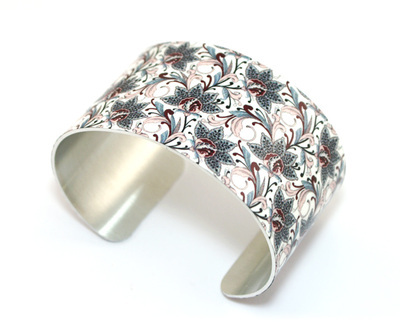 Modern women's jewellery bangle. 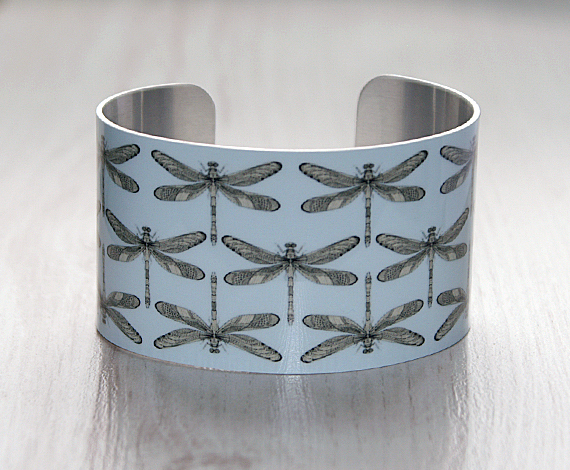 C144 - Cuff bracelet, wide metal bangle with dragonflies. 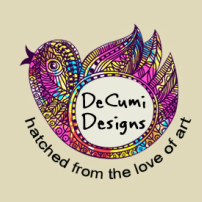 Handcrafted dragonfly jewellery for nature loving people. 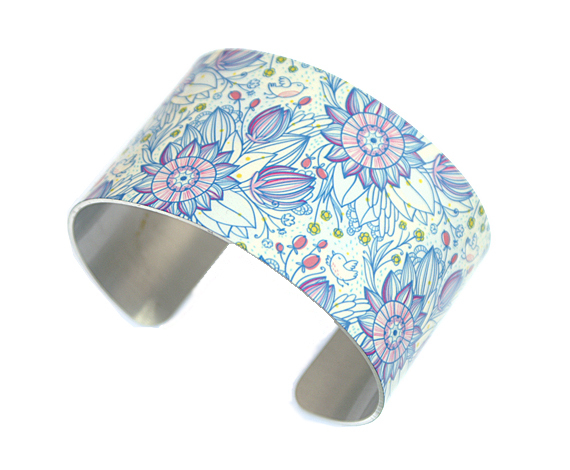 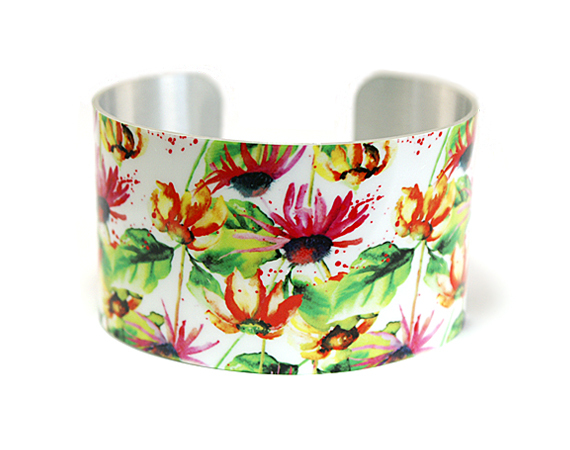 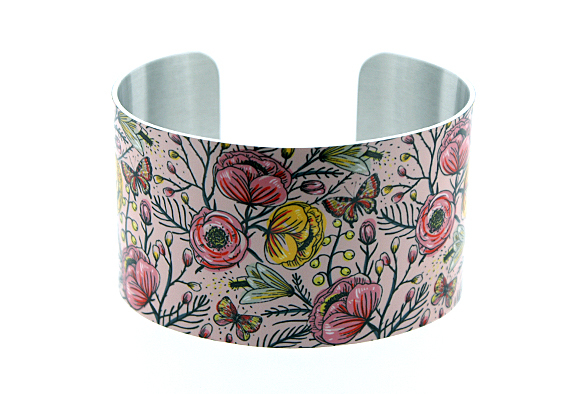 C161- Cuff Bracelet, anodised aluminium bangle with colourful daisies. 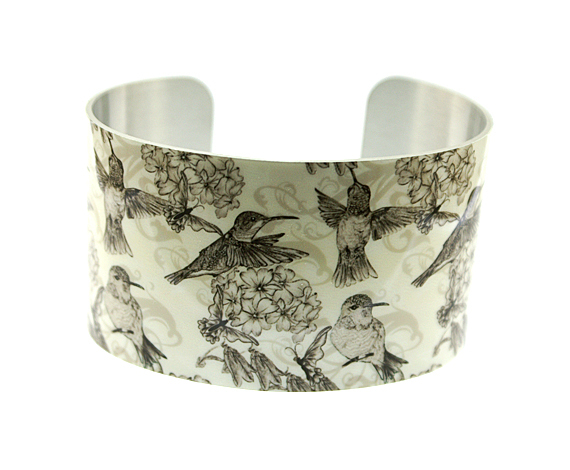 C104 - Cuff bracelet with birds. 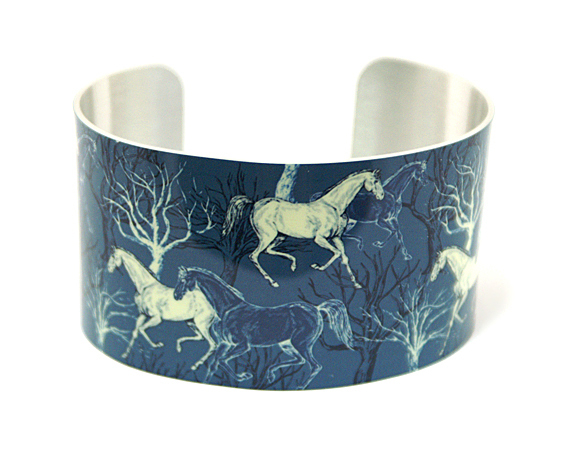 C138 - Cuff bracelet, horse jewellery, wide metal bangle in slate blue. 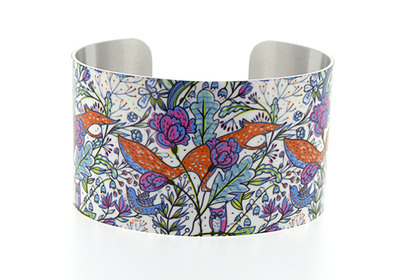 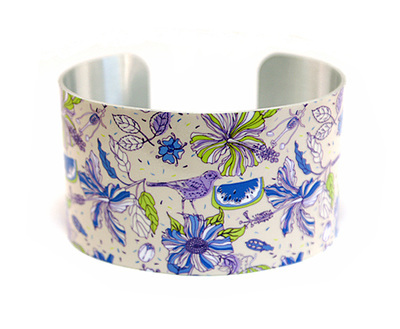 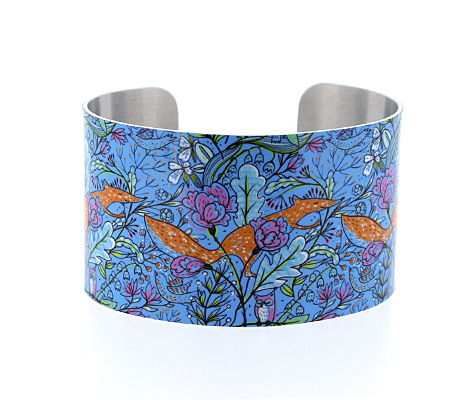 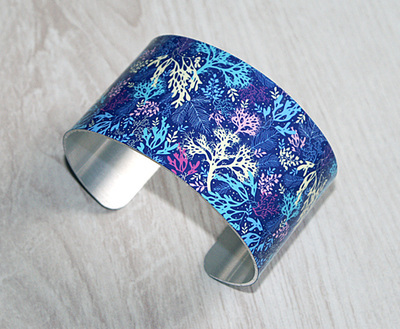 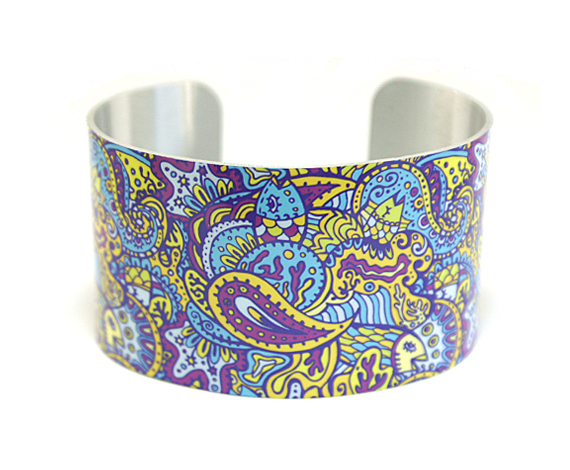 C136 - Cuff bracelet, wide metal women's jewellery bangle with blue and violet paisley design. 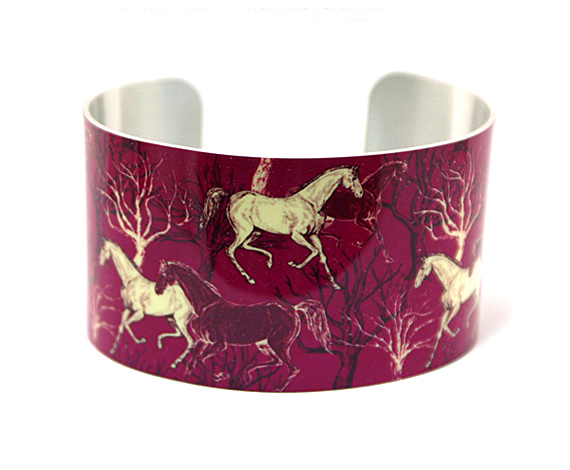 C139 - Cuff bracelet, horse jewellery, women's wide metal bangle in magenta purple. 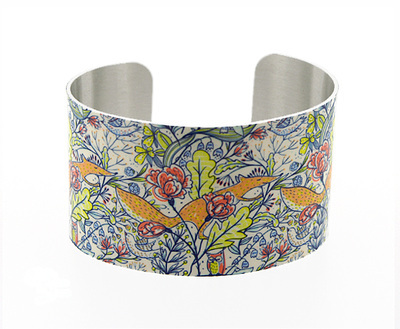 C132 - Cuff bracelet with birds and flowers. Wide metal jewellery bangle. 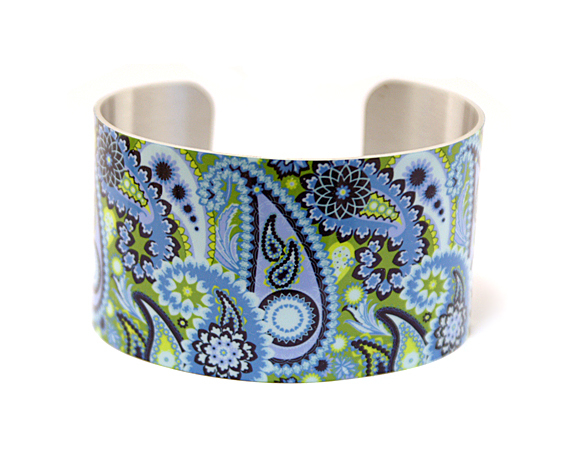 C134 - Cuff bracelet, colourful jewellery bangle with paisley flowers. C135 - Cuff bracelet with paisley patterned ocean and fish. 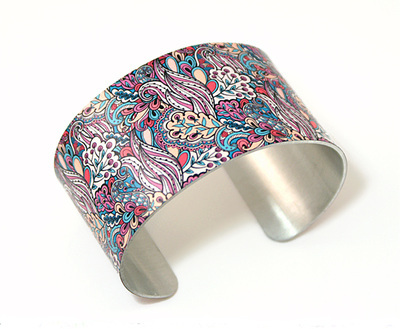 C166 - Anodised aluminium cuff bracelet. 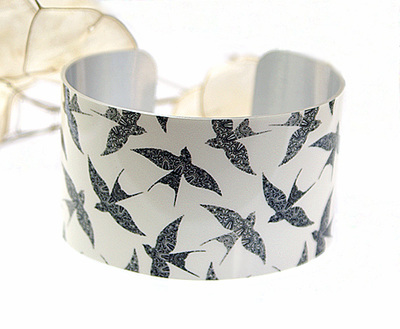 White background with birds. 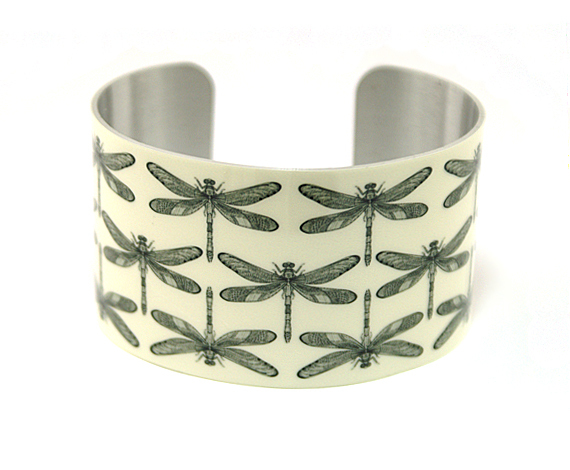 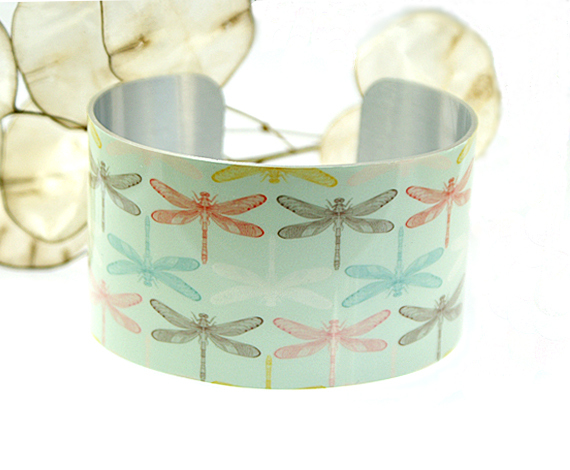 C167 - Mint cuff bracelet with dragonflies on anodised aluminium. 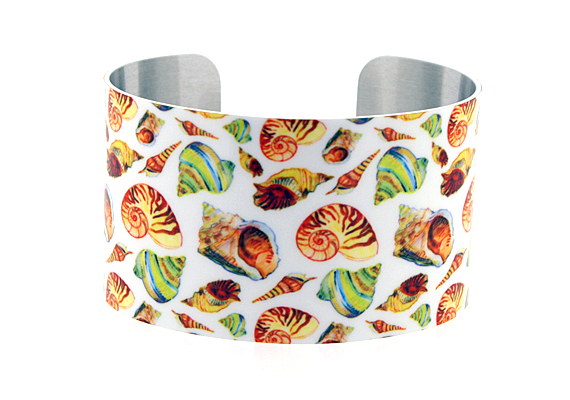 C170 - Cuff bracelet with underwater scene and coral reef. 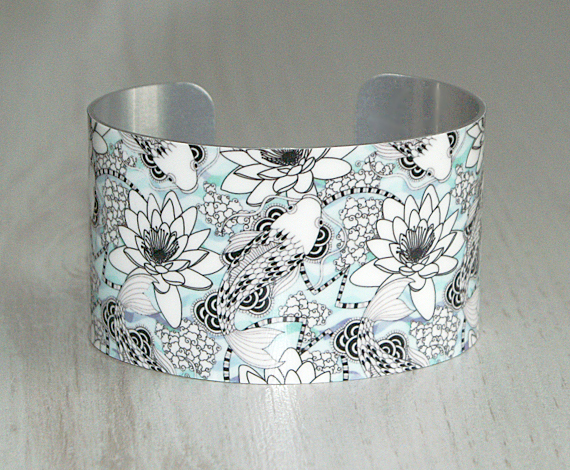 C182 - Cuff bracelet with Koi and Water Lilies. 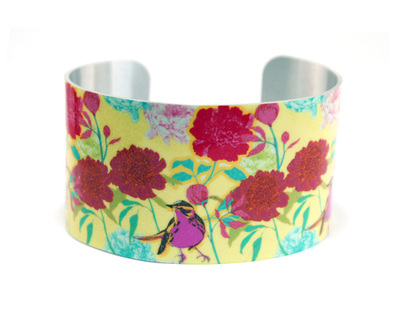 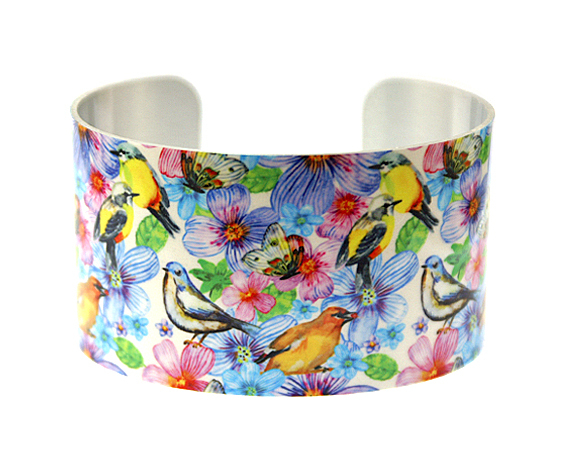 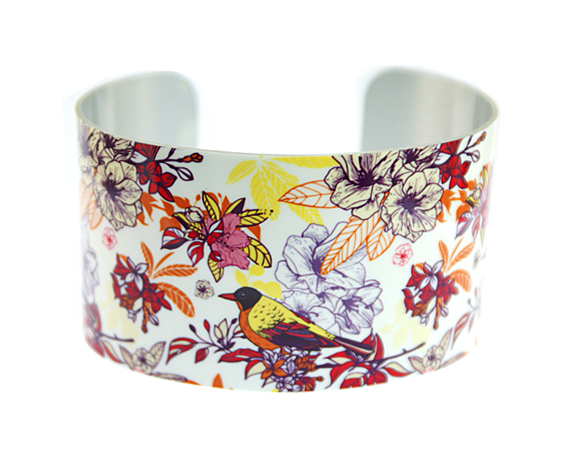 C130 - Colourful yellow cuff bracelet with birds and flowers. 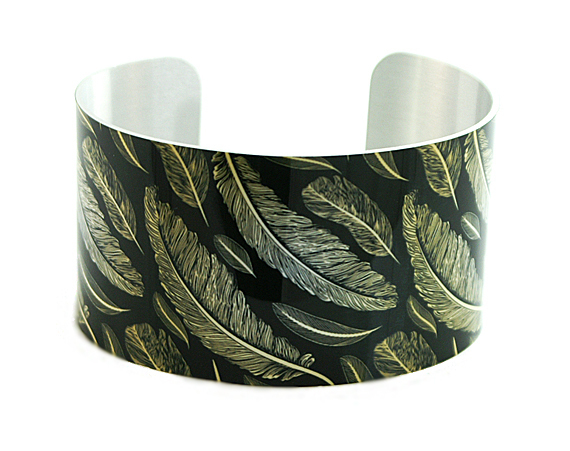 C189 - Cuff bracelet, black background with golden feathers. 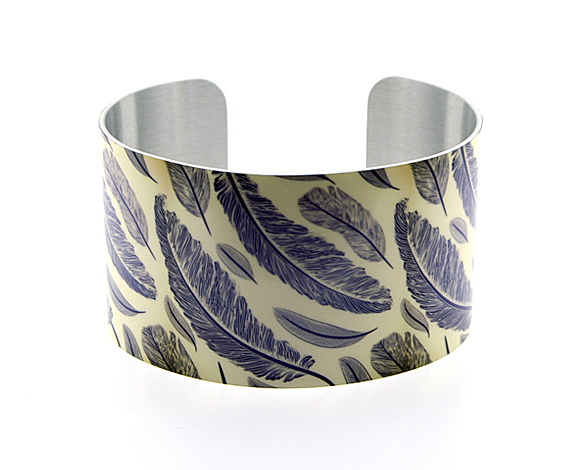 C172 Cuff bracelet, cream background and purple grey feathers.